Celebrate Christ this season with the Christmas Shepherd as the whole nativity counts down the twelve days of a Christ centered Christmas. 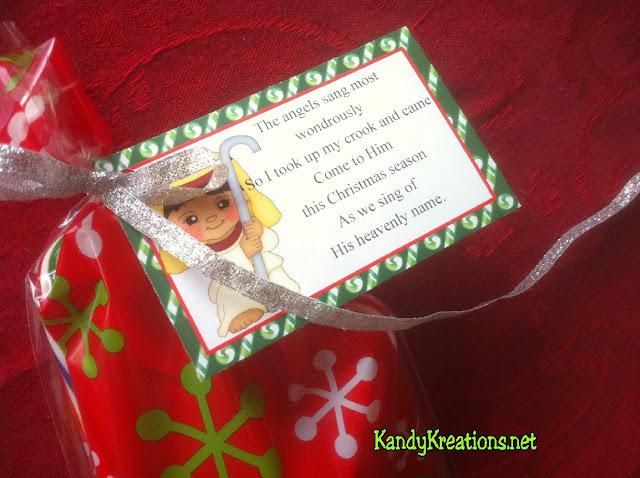 This is a perfect neighbor gift idea with day four having the first of the Christmas shepherds bring his crook and candy canes. 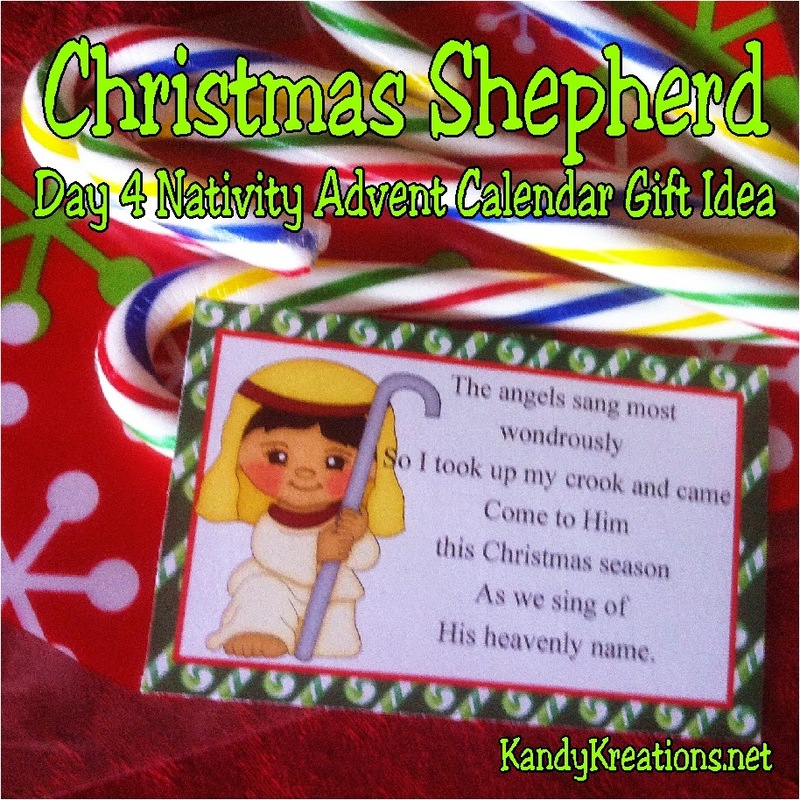 Day four of the Christmas Nativity Advent Calendar is the first of the shepherds. I try and imagine those men who were just going about their business trying to tend their flocks and feed their families, when this Christmas miracle happend. The angels came and sang of the birth of God's son to these regular men. I wonder what I would have thought had I been them. Would I have been willing to drop everything? Would I have traveled to Bethlehem? I would like to think so, but how hard is it for me to travel across the street to visit with a lonely widow? How hard is it for me to find the time to serve those around me? How about you? Do you think you would have dropped everything and gone? As we sing of His heavenly name. Using the same bags I bought for every day of our Nativity Advent gift, I wrapped up a few yummy candy canes for a Shepherd's crook.